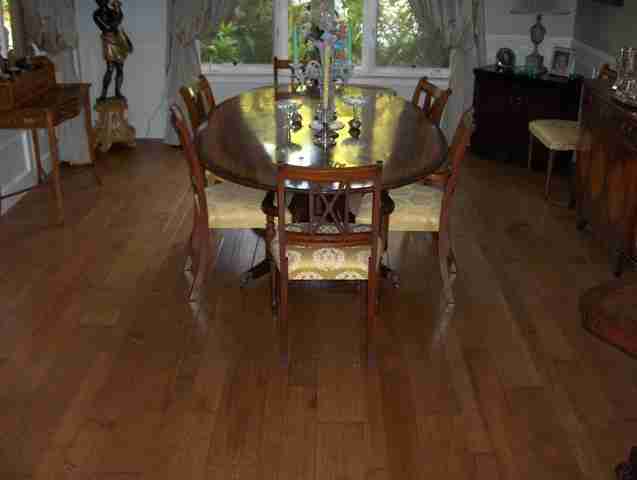 This job was an install of hardwood flooring in Fairbanks Ranch. 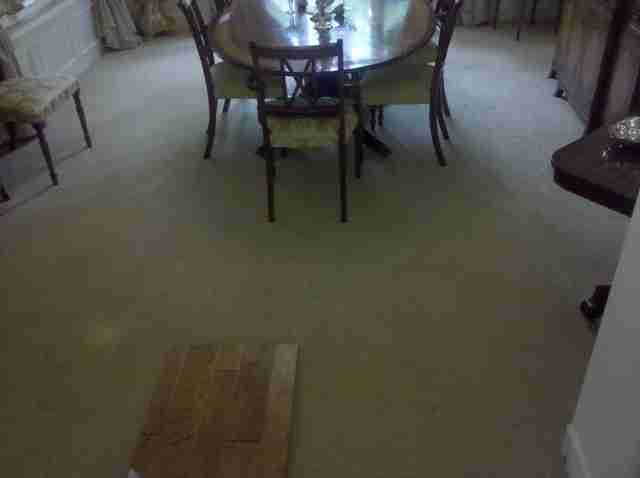 The customer, Sylvia, experienced some water damage to her home, which necessitated the replacement of her old wool carpet. 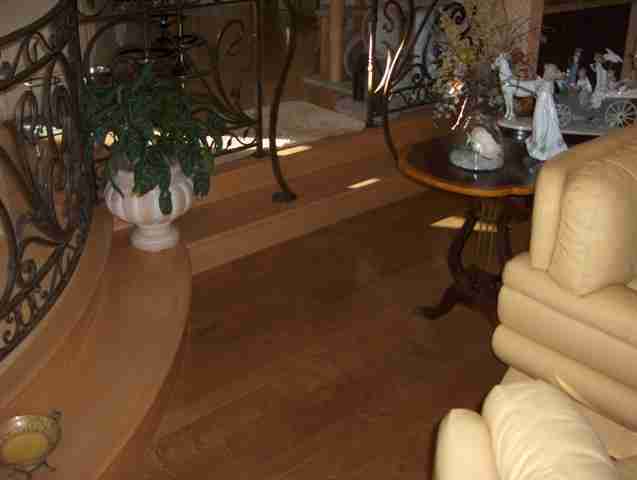 Instead of replacing it with new carpet, Sylvia opted to purchase new hardwood flooring. Her contractor then referred her to us for product selection and installation. Seen here is the room with simple white wool carpet prior to installation of the hardwood flooring. Sylvia was concerned with the wear and tear of her many canine companions and desired a product that would be durable as well as beautiful. She selected the Anderson Virginia Vintage Maple Heritage. This distressed, engineered maple has a light stain and a lot of character. The mixed 3″, 5″, 7″ widths give the floor a custom look. 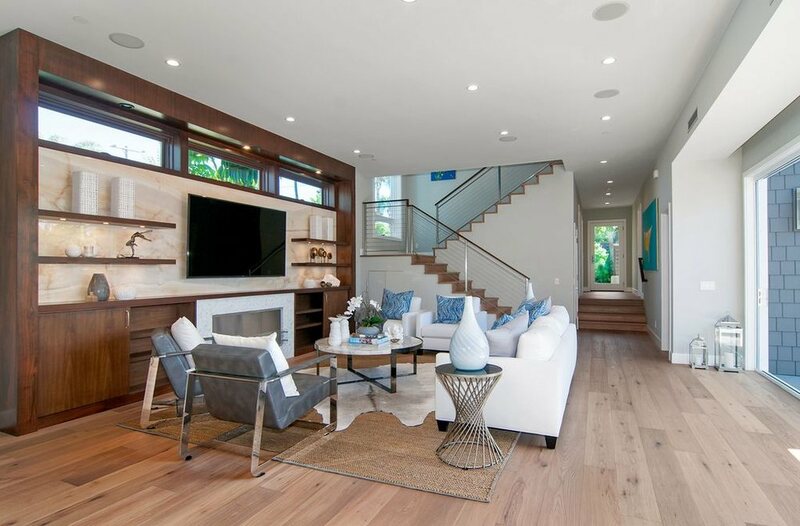 In addition to it’s beauty, this floor has Anderson’s revolutionary LusterLock Ultra finish, making it more resistant to scuffs and abrasions. 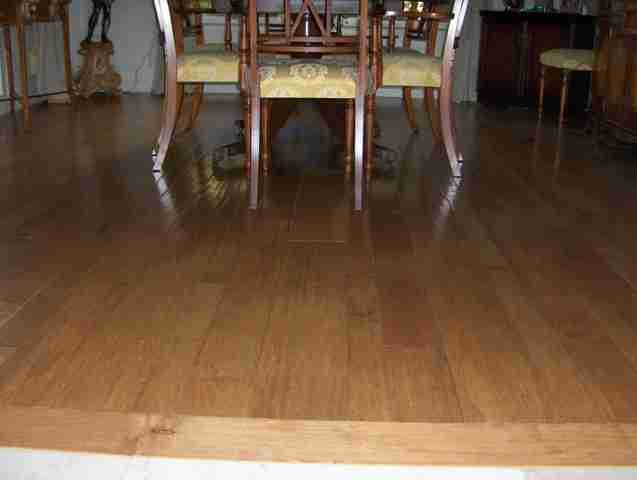 This picture was taken during the process of selecting hardwood flooring. 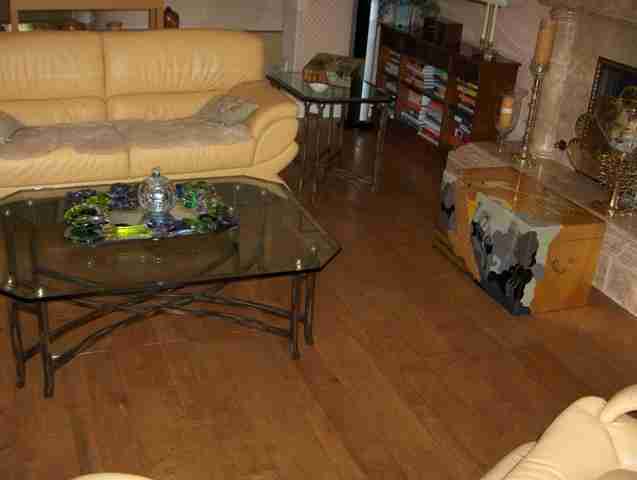 Here you get an idea of what a difference the hardwood floor can make in this interior. 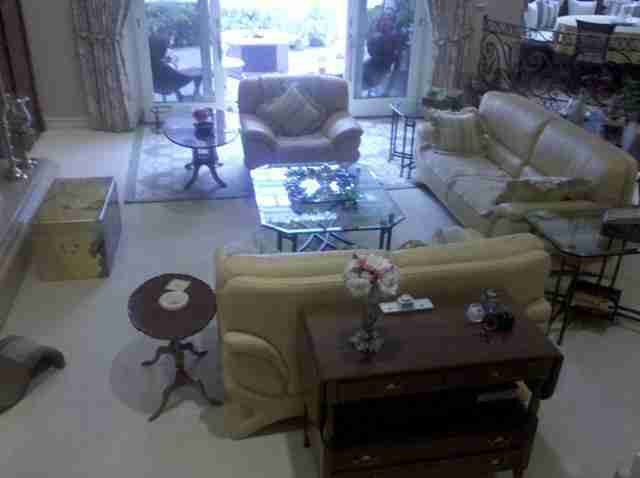 The floor adds a rustic touch, complimenting the French Provincial decor. The result is an inviting space with timeless appeal. I couldn’t help but take a picture of Sylvia’s unique entry drive water feature complete with a hungry alligator!